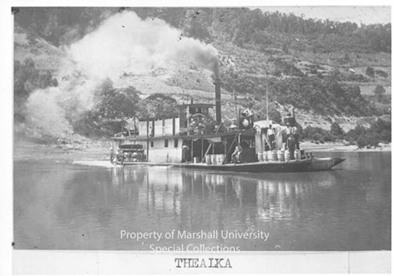 Steamboat Thealka, built 1899, Paintsville, Kentucky. Named for Alka Meek, name of boat was supposed to be "The Alka" but person who painted the title on boat ran it together to make Thealka. Built for the Big Sandy River trade. A batwing, shallow draft boat.